Connect with executives, researchers, entrepreneurs and service professionals from around the Tampa Bay area; all engaged in the growing life sciences industry. 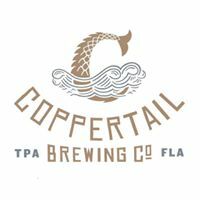 Enjoy networking, a tour of Coppertail Brewery and a presentation detailing similarities to the cGMP pharmaceutical production process by one of our newest Tampa Bay members, VistaPharm. Connect with executives, researchers, entrepreneurs and service professionals from around the Tampa Bay area; all engaged in the growing life sciences industry. Enjoy networking, a tour of Coppertail Brewery and a presentation detailing similarities to the cGMP pharmaceutical production process by one of our newest Tampa Bay members, VistaPharm. Online registration will close 11/14 at 12pm EDT. Walk-ins are an additional $5.